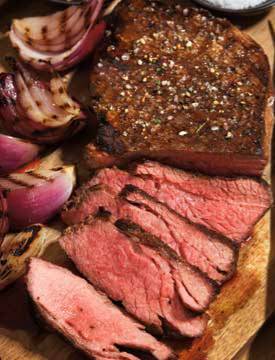 Honey Mustard Marinade gives Tri Tip an even more original and Awesome flavor. Mix all ingredients except roast in a pan and bring to boil. Lower heat to medium and cook about 10 minutes. Place Tri-Tip in container and cover with marinade. Soak Tri-Tip for three hours until tender. If desired Tri-Tip can be soaked overnight for a better taste. GRILL DIRECTIONS: Heat grill. When ready to barbecue, drain Tri-Tip roast, reserving marinade. Place steaks on grill over medium heat 4 to 6 inches from medium coals. Cook to desired doneness, turning once and basting frequently with reserved marinade. Discard any remaining marinade. Prepare recipe as directed. Place steaks on broiler pan; broil 4 to 6 inches from heat until of desired doneness, turning once and basting frequently with reserved marinade. Discard any remaining marinade. Special Offer: Use Code: 1717200910 now and take 10% off any Jake's product.